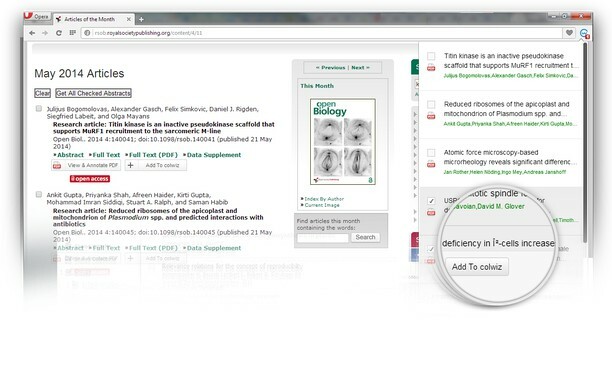 What if you could search thousands of online journals, annotate articles and add them to your colwiz Library directly from your web browser; without even leaving the journals’ website? When you search, the plugin automatically identifies each reference and makes it available for import along with the PDF. 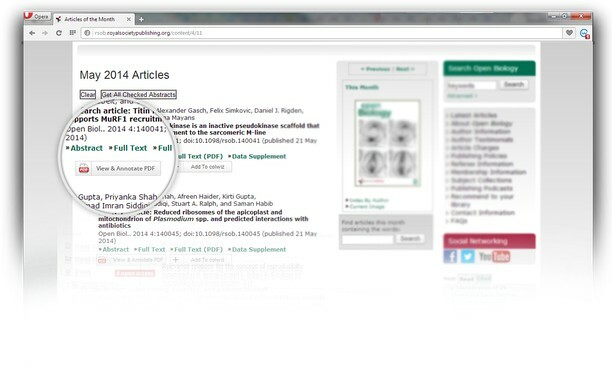 No need to wait - start taking notes and annotations without leaving the article page! 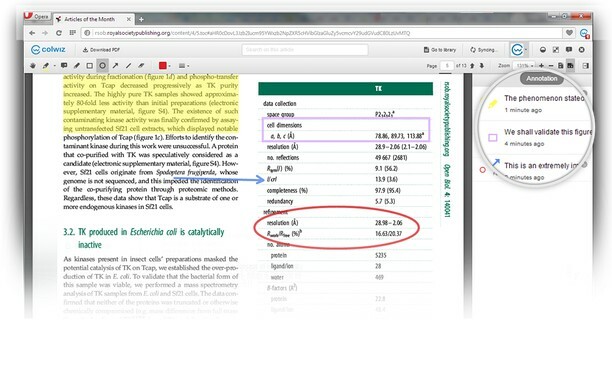 The colwiz Opera extension brings our interactive PDF reader to wherever you are. When you’re done taking notes, save the PDF to your library with all the annotations and citation information for future reference. Once securely saved in your personal cloud storage, the references, along with the PDFs can be immediately viewed on Web, Desktop and Mobile applications.